1. Here's a test shot of the forthcoming resin BZ-4 Zuk #72-057 from Ardpol. It should be available in October, we understand that they are just waiting for the instruction sheets to be finalised and printed. The planned SP-GIL from the same source is also well advanced and should be available "soon". 2. There are now two online reviews of the 1:48 ACH-47A Chinook from Italeri, one at Cybermodeler, the other at Hyperscale. Both are extensively illustrated, so you can make up your own mind on the accuracy (or otherwise) of the detailed interior. 3. Amodel are said to be preparing a 1:72 Mil V-12 'Homer', #72018 in their Amonster series. Kits in this series are typically made from a combination of injection moulded plastic and a glass-fibre composite, are limited edition, and don't come cheap. Now would be a good time to start figuring out where you're going to keep a model about 1 meter wide by half a meter long - we'll have to start hanging them from the ceiling again. 4. 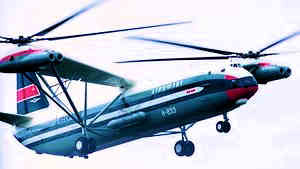 Revell have released #04493 Kamov Ka-29 'Marine', a re-box of one of the Zvezda kits. Warhammer sets are currently available from Horiginal Modelismo in Brazil, and from VLS/Modelmecca in the USA. BIG 4863, for the Academy 1:48 CH-46D Sea Knight. A combination of etched brass sets 49-009 RBF tags, 49-262 cargo seatbelts, 48--535 interior, 49531 exterior, plus ED076 canopy & wheel masks. 7. Pavla have released a resin update for the Italeri Wessex HAS.3. 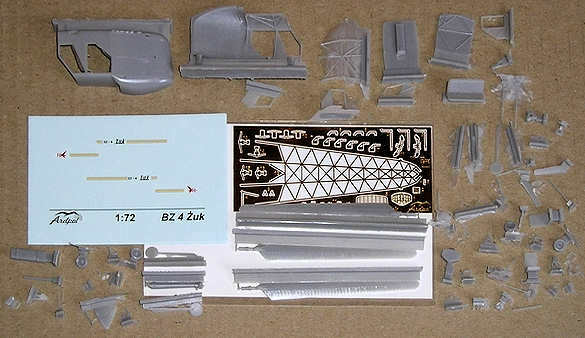 Set #U72-74 appears to give you replacements for various of the kit parts, including the dorsal radome, the 'camel hump', the exhausts, nose antenna, and a couple of other small bits. The other recent release from Pavla is #C48-008, a resin cockpit set for the MHM and Monogram Mi-24D Hinds. 8. The new SH-60B/F decals from Mike Grant that were trailed in HKN #217 are now available, #48-047. 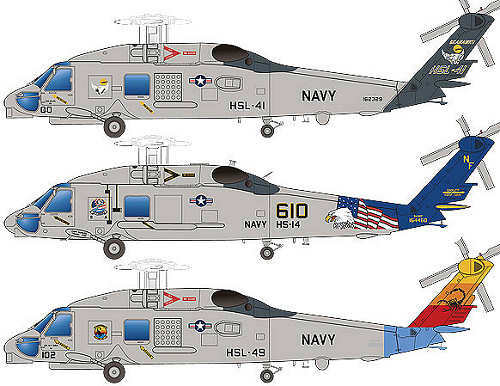 This high quality (screen-printed) decal sheet features three colourful US Navy birds from HSL-41 'Seahawks', HS-14 'Chargers' and HSL-49 'Scorpions'. Full colour instructions are included. 9. Siam Scale have published a sheet of decals for the Royal Thai Police UH-1B in 1:35, #32-011. No further details are known. 10. 'Coming Soon' from MAW Decals is #48-MAW-005 "Leatherneck Featherweights". 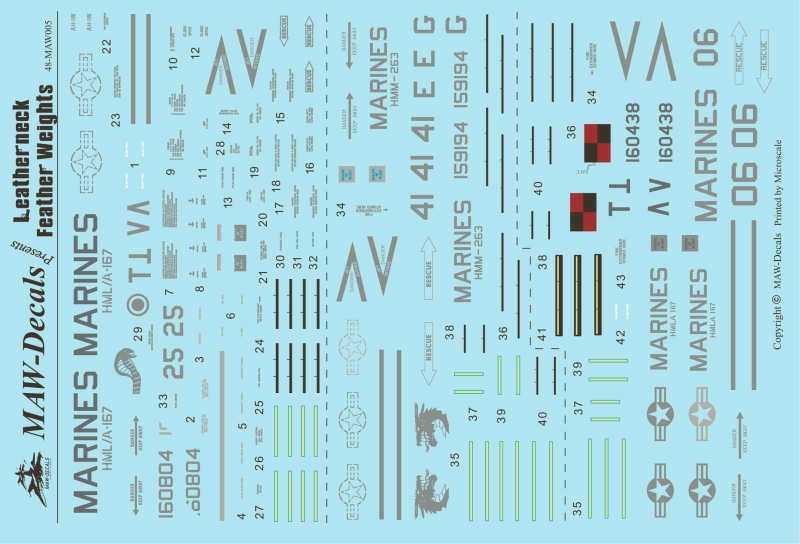 This will give you 1:48 markings for USMC UH-1Ns 160438 from HML/A 167 "The Warriors" and 159194 from HMM 263 "The Thunderchickens", plus AH-1W 160804 from HML/A 167 (see also Two Bobs #35-001 "Whiskeys in the Mix"). 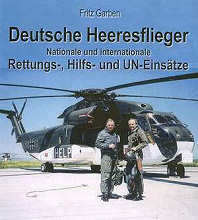 Deutsche Heeresflieger, Nationale und Internationale Rettungs-, Hilfs- und UN-Einsatze, by Fritz Garben, published by Stedinger Verlag, ISBN: 3927697419. Flieger des Heeres. 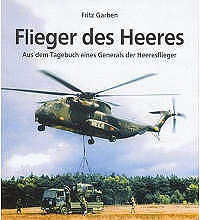 Aus dem Tagebuch eines Generals der Heeresflieger, by Fritz Garben, published by Stedinger Verlag, ISBN: 3927697400. Funf Jahrzehnte Heeresflieger. 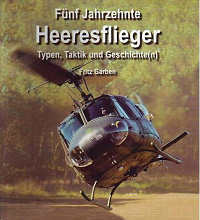 Typen, Taktik und Geschichte(n), by Fritz Garben, published by Stedinger Verlag, ISBN: 3927697451. 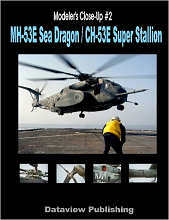 Modeler's Close-Up #2: MH53E Sea Dragon / CH53E Super Stallion, by Chris Reed, published by Dataview, ISBN: none given. 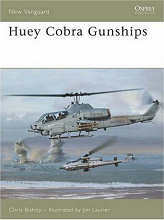 Huey Cobra Gunships, New Vanguard #125, by Chris Bishop and illustrated by Jim Laurier, published by Osprey, ISBN: 1841769843. Thanks to Pawel Okulski and Harold Stockton.